San Francisco Planning and the Mayor's Office of Economic and Workforce Development are collaborating with the City’s enterprise agencies to redevelop publicly-owned land into housing. Using innovative strategies, these development opportunities seek to provide revenue to the enterprise agency while creating other vital public benefits such as affordable housing. By structuring these projects as public-private partnerships, the City can create critical wide-reaching public benefits such as parks and open space, jobs, and affordable housing. 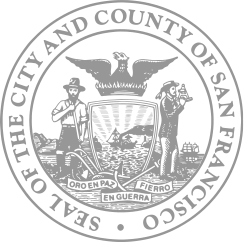 In his 2014 State of the City address, Mayor Ed Lee called for action to combat San Francisco’s affordability challenges and directed City agencies to examine their underutilized sites with regards to their potential for housing. In response to the Mayor’s direction, an inter-agency working group, comprised of the Office of Economic and Workforce Development (OEWD), Planning Department, Municipal Transportation Agency (SFMTA), Public Utilities Commission (SFPUC), Mayor’s Office, Mayor’s Office of Housing (MOH) and the Real Estate Division, began drafting some principles to guide potential development of the sites, initial site analysis, development of criteria for site selection, and engagement with stakeholders. That initial process has shaped a vision of the Public Land for Housing as a means to help San Francisco address some of its most pressing issues such as housing, transportation, and neighborhood sustainability and resiliency through the re-utilization of selected City-owned properties that have useful characteristics to maximize their use and opportunities for public benefit. In a city with extremely limited undeveloped real estate and a need to meet multiple public objectives, the goals of this project are to maintain a coordinated development of these public resources through community and stakeholder engagement; provide a range of public benefits and innovative strategies that extend beyond the sites themselves; all while still ensuring that owner agencies can further their core missions. A rolling review of underutilized properties to establish a portfolio of opportunity sites for which the above-mentioned principles and tools will be applied to create approvable and implementable project proposals. The working group refined a set of principles to guide potential development of those sites ensuring they provide public benefits while helping to achieve the program goals set forth above and more generally to advance owning-agency missions. For a map of all publicly-owned sites in the city for reference, please visit here. Once a Site is Selected - What Happens Next? keep decision-makers and the public informed of the success of the project, what public benefits are being delivered, and how. How Will Success of the Program Be Measured?